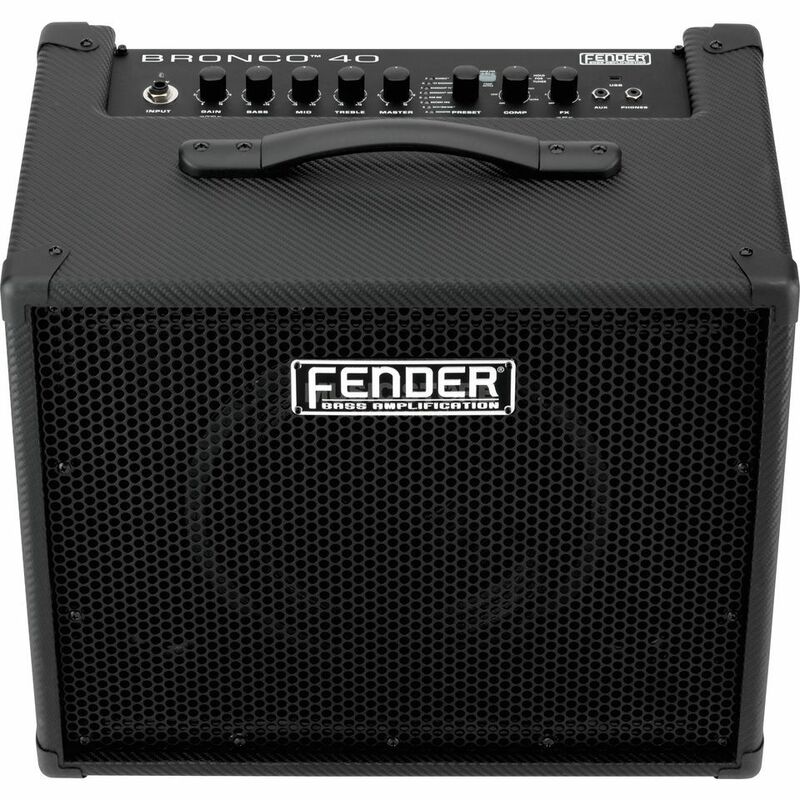 The Fender Bronco 40 Bass Amp Combo is a compact, lightweight amp that kicks out a wealth of inspiring tones. It’s loaded with versatile preset amps and built-in effects that make it the bassist’s perfect personal-practice and recording companion. With free Fender FUSE software and USB computer connectivity, creating, editing, storing and sharing your sounds is easy. The Bronco 40 is an amazing value for bass players who enjoy having sonic options that enhance their creativity. Features include a single punchy Fender Special Design 10” speaker, eight distinctive amp models, digital effects (including chorus, reverb, delay, envelope filter, flanger, phaser, octave and more with Fender FUSE), compressor, chromatic tuner, auxiliary input, headphone jack, USB port for computer/ Fender FUSE connectivity, XLR output and optional single-button footswitch (stores two quick-access presets). Brilliant amp! 8 preset amps 34 pedal effects 34 "rack"-effects (in FX-loop) via Fender Fuse program. Excellent sound through 10" speakers. 40W amp gives enough punch for small venues. Practice in private with earphones, plug in your MP3 for play-along-practicing. I would recommend the Fender Bronco 40 to anyone! The Bronco 40 is a great amp for home and practice, it has great sound and build in Possibilities, Fender has also a "Fender Fuse" program that has a lot of setups and features. features includes amp models, digital effects, USB port for computer. and the guys at Musicstore are very service oriented and efficient!